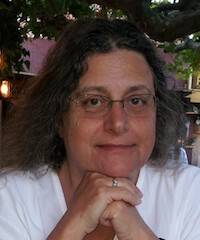 Francoise Genova has been the director of the Strasbourg astronomical data centre CDS from 1995 to 2015, and one of the founding parents of the astronomical Virtual Observatory. The Virtual Observatory is an ecosystem of standards and tools enabling seamless access to the wealth of on-line astronomical resources. She has been the coordinator of several European projects dealing with the European facet Virtual Observatory, and currently leads the "Data Access, Discovery and Interoperability" Work Package of the European ASTERICS astronomy Cluster, which aims at optimizing the usage of the data from the astronomical and astroparticle physics ESFRI and ESFRI-like projects through the Virtual Observatory. She was a member of the High Level Expert Group on Scientific Data set up by the European Commission in 2010, and one author of the "Riding the wave" report published in October 2010 and of its follow-up "Data Harvest" report. She is a member of the European Commission Expert Group on Turning FAIR data to reality (2017-2018). She has been an active member of the RDA since its inception, in particular as member of the RDA Technical Advisory Board (co-chair since October 2015), and of the RDA Europe first, second and third projects. Shu co-leads the RDA-France National Node set up by the RDA Europe 4.0 project. She is a member of the Advisory Committees of EOSCPilot, EPOS, and EUDAT, and the vice-chair of the Scientific Council of Huma-Num, the French Digital Humanities research infrastructure.